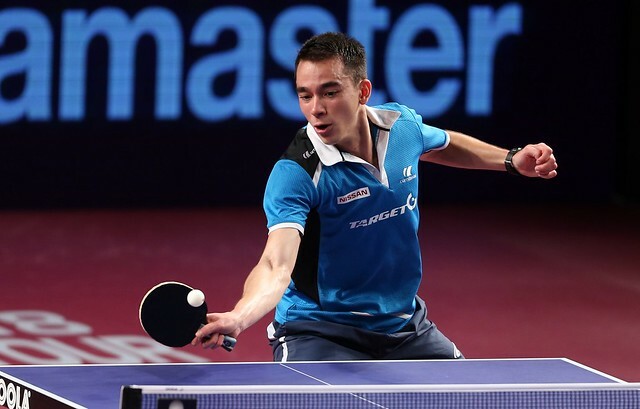 Qualification for the Seamaster 2018 ITTF World Tour Qatar Open officially began on Tuesday 6th March as the unseeded players who made the trip to Doha took to the tables for the opening day of the two-day qualification tournament. Here’s a quick round-up of the day’s action. 104 players across 34 groups began their Men’s Singles qualifying campaigns with many big name stars on display and, as per usual with an ITTF World Tour Platinum event, there were a number of shock results on the opening day of the qualification tournament. Mihai Bobocica entered the day as Group 9’s lowest ranked player but looked by far the strongest in the group on day one of qualifying, with the Italian competitor pulling off fantastic results against Slovenia’s Bojan Tokic (11-3, 11-3, 11-3, 11-3) and Germany’s Bastian Steger (2-11, 2-11, 11-5, 11-2, 11-2, 5-11, 11-2) to guarantee top spot in the group. Group 6 also played host to a major upset, as Frenchman Alexandre Robinot inflicted a straight games defeat upon two-times ITTF World Tour Men’s Singles gold medallist Jeoung Youngsik (11-3, 11-6, 11-3, 11-2) while Chinese Taipei’s Lin Yun-Ju came out on top against Kristian Karlsson (11-6, 11-6, 11-4, 7-11, 6-11, 11-2). England enjoyed a strong day out in Doha with victories for three of the country’s representatives including Liam Pitchford, who earned a superb seven games victory against reigning World Junior Champion Xue Fei of China (7-11, 11-5, 7-11, 11-6, 7-11, 20-18, 12-10) to open his campaign with style. The upsets continued in the Women’s Singles group stage as Sweden’s Matilda Ekholm suffered an early setback. Runner up in New Delhi at the ITTF World Tour event in India last year, Ekholm won’t be appearing beyond the group stage in Doha after losing out to Monaco’s Yang Xiaoxin (11-2, 11-2, 2-11, 3-11, 11-3, 11-7) who also picked up a win against Mouma Das to seal first position in Group 13. World no.29 Soo Wai Yam Minnie has also missed out on the opportunity to progress beyond the qualification group stage, following a five games defeat to Korea Republic’s Yoo Eunchong (11-2, 11-2, 11-6, 2-11, 11-4). An early exit was also confirmed for 2015 European Champion Elizabeta Samara with Japan’s Miyu Nagasaki proving too strong for the Romanian (2-11, 11-6, 11-2, 11-2, 11-5). 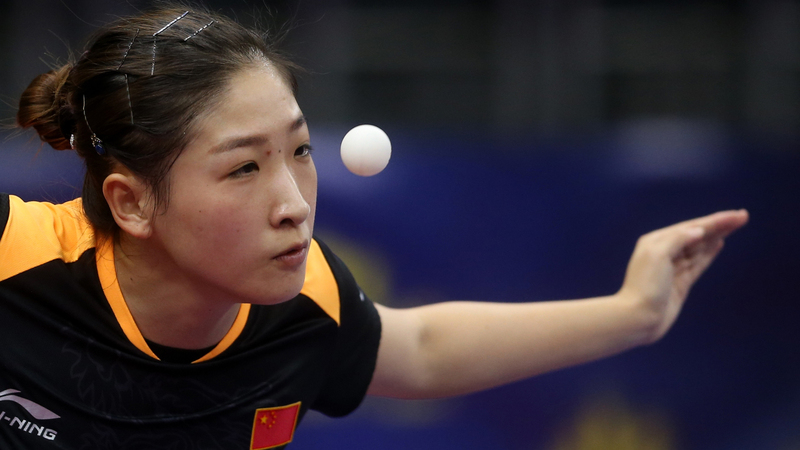 More regularly seen competing in the main draw, for Ding Ning and Liu Shiwen to appear at this year’s Qatar Open the duo must first negotiate the two-day qualification tournament in Doha. Ding Ning began her group stage journey with a confident outing against Thailand’s Tamolwan Khetkhuan (11-4, 11-8, 11-8, 11-7). However, it was Liu Shiwen who surely enjoyed the more impressive result, as the 26-year-old saw off fellow Chinese star Wu Yang without dropping a game (11-5, 11-2, 11-4, 11-6).